Russians are protesting government plans to hike the retirement age, in a rare challenge to President Vladimir Putin's leadership. 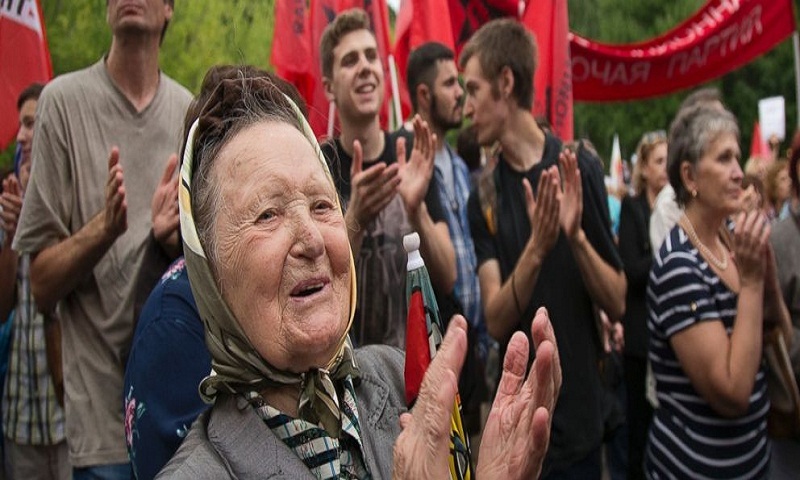 The State Duma is voting on the bill Thursday, which would raise the age at which retirees can receive state pensions from 60 to 65 for men, and from 55 to 63 for women. The rise would occur in stages over the next 15 years. Activists from both Communist and pro-free market parties held demonstrations ahead of the vote. Several arrests were reported at an unauthorized rally in St. Petersburg on Wednesday. The government argues Russia needs pension reform to boost economic growth, but Putin's approval rating slipped after the announcement. The government was criticized for announcing the move on the day of the grandiose opening of the Russia-hosted World Cup. The average current pension is 14,000 rubles ($230) a month.